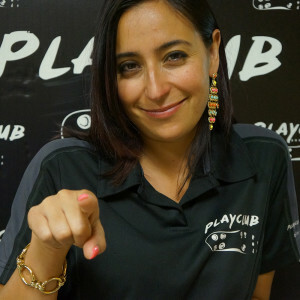 PlayClub is a subscription-based recreational sports club. It is a whole new way to experience the game. First of its kind, we offer professionally managed and service-oriented leagues and programs focused entirely on the player. Where fantasy football meets real life. There’s nothing like the feeling of playing an intense game. You experience highs and lows, exhilaration, tension and release, joy, anger, frustration and pain. You bond with your teammates, get sucked into rivalries and succumb to the drama of your performance. The only certainty is uncertainty. The end is never predictable. You give it your all and sometimes it pays you back. You live for those moments. Our lives are a series of obligations. In just one hour a week, PlayClub is a way out, a place where nothing else matters but the turf, the ball and your energy. Unleash yourself from the confines of the cube. Free your mind from the rigors of life. Release your body’s primal instincts. Experience the raw highs of sport. Join us! SOCCER – Recreational leagues for all age categories and intensity levels. We offer men’s, women’s and co-ed adult leagues, as well as skill development and summer camp programs for children and young adults. FIGURE SKATING - Recreational semi-private figure skating lessons for boys and girls aged 5-12. Focus on safety, technique, power, musicality and showmanship. Includes an introduction to synchronized skating and an end-of-class show. Taught by a certified professional figure skating coach. SCHOOL ACTIVITIES – PlayClub regularly provides affordable lunchtime or after-school extracurricular sports such as soccer and basketball, to children on their school grounds. Taught by a dynamic and qualified coach, these sessions teach the basics of the sport, foster good sportsmanship and encourage healthy active living for our children. Contact us today for references and to set up your school activity! If you ever wanted to play soccer in a new car, the new dome offers that new car smell and just makes you want to put your foot on the gas and go, go, GO! Can’t wait for the bar and Resto to get going for after match brewskies with other valiant warriors! I wanted to take the time and message you to let you know that you guys are doing an amazing job with this league. I actually feel like I improved a lot and it’s a sport I never played before. It has given me a lot of confidence and I want to thank you girls for doing this. I didn’t know what to expect when I joined in September, because I hadn’t played organized soccer since I was in high school over 40 years ago (1970). I hoped to get a bit of exercise and maybe learn a thing or two that would help me coach my daughter’s house league team. The level of play is much higher than I expected, but fortunately I haven’t forgotten too much about goalkeeping. There is another player on our team that hasn’t played since high school, but we also had a current AAA player and a former Montreal Impact player with us last week. The girls who play in the co-ed league are all very strong players. I have learned a lot just watching everyone play in front of me, which is going to benefit my coaching this summer. Also, I am very impressed with the playing surface. It plays very much like well-kept natural grass and is far superior to the artificial turf at other facilities. When I heard about the PlayClub and their presence in the West-Island I couldn’t help myself – I signed up straight away! Having played for many years in Europe before immigrating to Canada, I guess I thought I’d left my soccer days behind…but I just love the game and it motivated me to get back into shape. I particularly like this league because there is a perfect balance between having great fun together and a dose of healthy competitiveness once on the field. Johanne & Farah are doing a great job running the league and their enthusiasm is simply contagious! PlayClub Soccer has found the ideal recipe for indoor soccer in the West Island. The caliber of play is well targeted for players looking for good competition with a fantastic attitude. The indoor pitch is a superb 2/3-size that makes for very fast, heads-up playing. Huge kudos to Farah and Johanne for having created an environment where good competition and great attitudes combine for excellent sport! 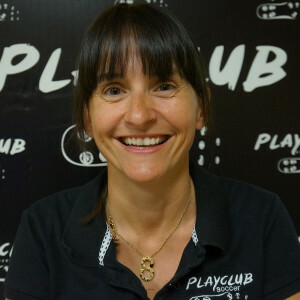 Le staff du PlayClub est d’après moi une des meilleurs organisations privé à Montréal. PlayClub is a well-organized soccer organization that provides for a friendly, yet very competitive men’s league. The league coordinators are very passionate and involved, and make sure that their players are playing hard, but more importantly, having a good time.